Round five of the 2014 FIA Formula 3 European Championship sees Felix Rosenqvist and the rest of the F3 fraternity travel to the deep forests of the Belgian Ardennes, as the field prepares to battle it out at one of the sport’s greatest driving challenges: Spa-Francorchamps. 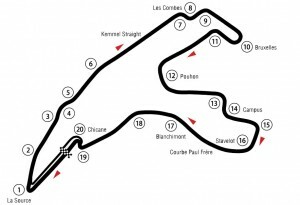 With its 7 km lap packed with legendary sections such as Eau Rouge, Pouhon and Blanchimont, Spa holds an undisputed place in the history books of motor racing, and makes for a popular return to the FIA Formula 3 European Championship calendar following a year on the sidelines in 2013. Felix travels to Belgium looking to maintain the positive momentum of his most recent racing activities, two weeks on from an emphatic double win for the Team Sweden FA1 squad at Monza. After a penalty forced him out of an increasingly vivid victory dispute at the latest F3 round in Budapest, however, there is an element of unfinished business going into the up-coming weekend, with Felix eager to return to the winners’ circle sooner rather than later. Add to that the fact that Spa remains one of the few circuits on which the Mercedes-backed Mücke Motorsport man is yet to celebrate an F3 victory, and there is no shortage of incentives as we head into the most hectic part of the season. Above everything else, Spa-Francorchamps is a massively fast circuit. At no other venue on the calendar do drivers travel at full throttle for a similar amount of time, setting the stage for several genuine overtaking opportunities and close racing. 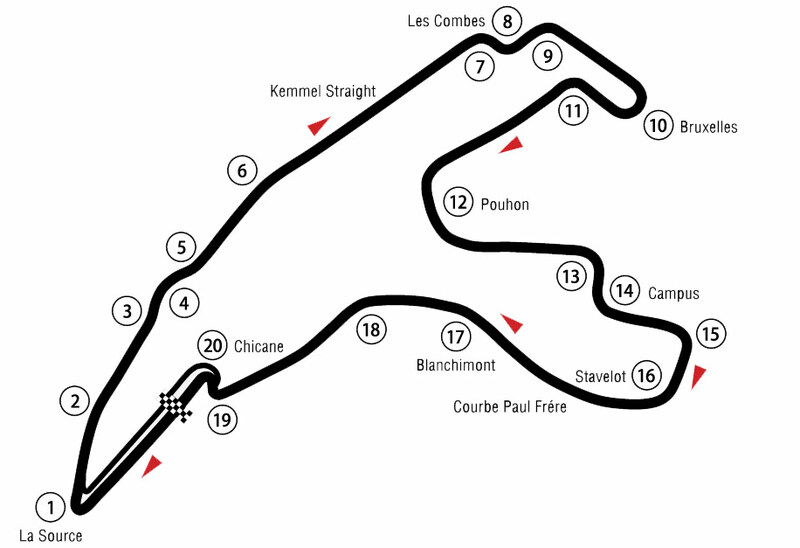 The majority of the corners are negotiated at very high speeds – often above 200 km/h – but the start/finish area is dominated by the slow Bus Stop chicane and the La Source hairpin; with the latter requiring a good exit in order to carry as much speed as possible through the mind-blowing uphill sweep of Eau Rouge and onto the subsequent Kemmel straight. The key to a competitive lap time at Spa is spelled “trade-off”, with teams seeking to find the right balance between top speed on the never-ending straights and decent grip in the aerodynamically sensitive corners in the middle part of the lap. Many tend to put a premium on top speed in an attempt to aid overtaking, but there is a very fine line on the road to exaggeration and the slightest mistake on set-up can bite back remorselessly in the shape of tyre-chewing oversteer. Spa-Francorchamps is surrounded by the forests and mountains of the Belgian Ardennes, making it infamous for its changeable micro climate, and is also the longest circuit on the calendar at 7.004 km. VIDEO: Go on-board with Felix for a lap around Spa-Francorchamps in Formula Renault (2008).